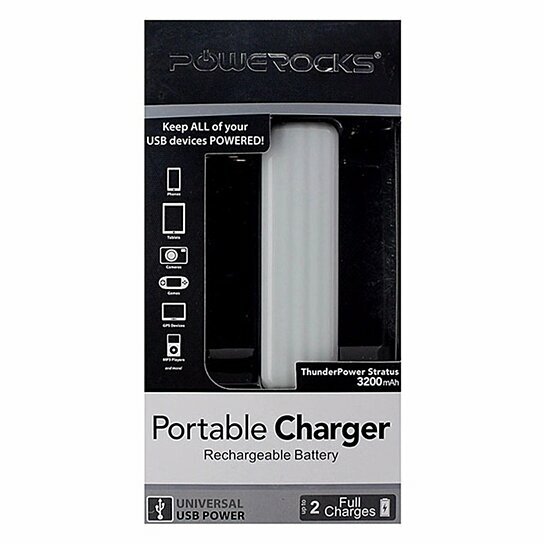 PowerRocks Brand Products ThunderPower Stratus Series 3,200 mAh Universal Rechargeable Portable Power Bank Charger. Glossy White finish. 1 USB Port. Micro-USB Cable, and Carry Pouch Included. 5V - 1A Output.